120 vegan capsules. One month’s supply. Our Moringa Leaf Powder is processed to an 80-mesh fineness to ensure a silky, creamy texture without any grittiness. This allows for maximum absorption of nutrients. It contains thin stalk fibres which provides fibre. 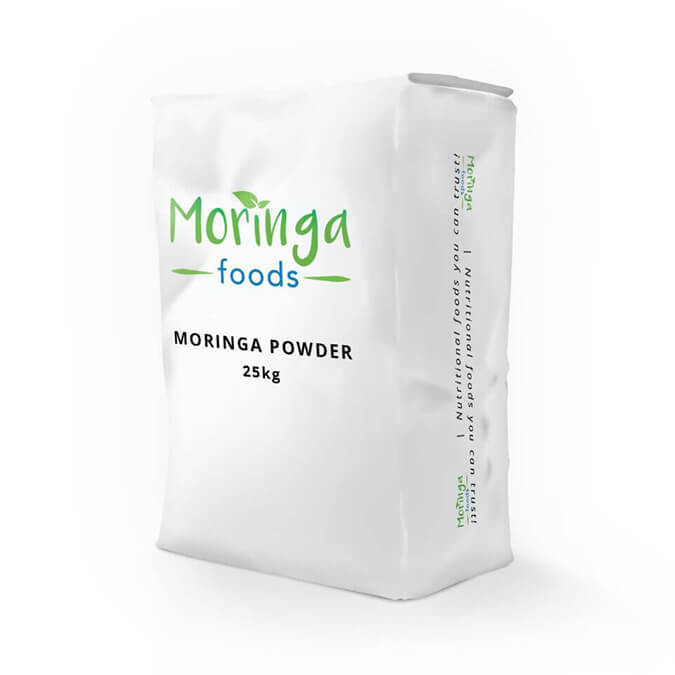 Moringa leaf powder is a highly nutritious food supplement made from the leaves of the Moringa Oleifera tree. This green super-food is 100% natural and contains no preservatives. Containing over 95 nutrients, 46 antioxidants as well as anti-inflammatory compounds, Moringa (Moringa oleifera) is one of nature’s most nutritious foods ideal for helping our bodies maintain optimum health. 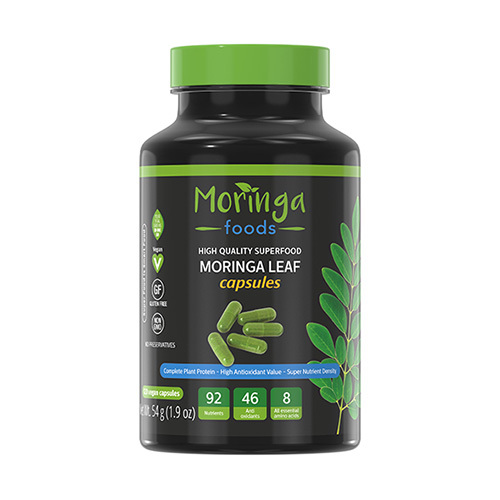 Two Moringa dried powder capsules taken just twice a day, gives your body all the antioxidants, vitamins, Omega-3 essential oils, minerals and proteins it needs to thrive and stay healthy. Our Moringa is vegan and also easy to digest, even for children and senior citizens. International delivery available. Please use our contact form for enquiries and preorders. Our Moringa Leaf Powder is processed to an 80-mesh fineness to ensure a silky, creamy texture without any grittiness. This allows for maximum absorption of nutrients. It contains thin leaf stalks which provides fibre. Free scoop included for convenient measuring. One month’s Supply. Our Moringa Leaf Powder is processed to an 80-mesh fineness to ensure a silky, creamy texture without any grittiness. This allows for maximum absorption of nutrients. It therefore contains micro plant fibres for easy digestion. Moringa leaf powder allows for total flexibility in any diet and provides all the Vitamins, Minerals and essential compounds we need to develop and maintain a healthy body and sound mind. Can be added to shakes, smoothies, a variety of food dishes as well as for tonics. Can also be used as a supplement to provide the energy we need to master daily challenges. Our Moringa Leaf Powder is processed through an 80-mesh screen to increase surface area, aid digestion and increase nutrient availability. Therefore, it may contain thin leaf stalk fibres. 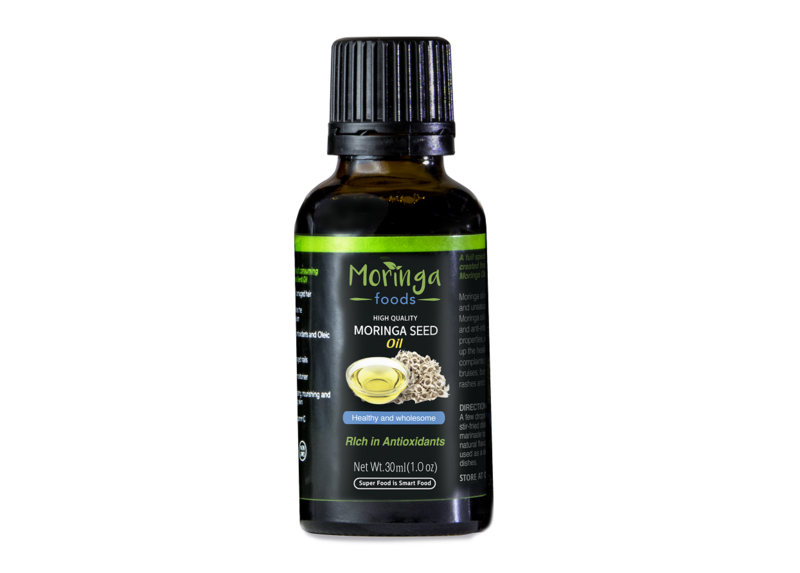 Moringa seed oil is rich in vitamins and unsaturated fatty acids and may be added to salads as a dressing. To make and enjoy a refreshing Moringa drink, simply take half a teaspoon of Moringa oil, add a teaspoon of molasses, squeeze a little of lemon, mix them together and add water. You may also add half a teaspoon of Moringa oil into your soup or stews after cooking and enjoy the tasty, natural flavour. When incorporated into a variety of dishes, it adds vibrant earthy flavour. Beneficial for hair, skin, digestion and more, as a daily supplement. It also has antiseptic and anti-inflammatory properties which aid in the healing of minor skin complaints such as cuts, bruises, burns, insect bites, rashes and scrapes. 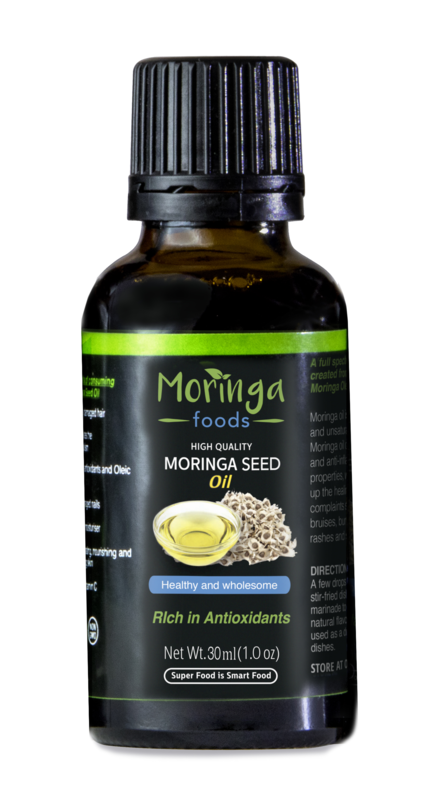 This cold pressed and super nutritious Moringa seed oil includes the kernel and shell, and is suggested for ingestion only. While this product may be safely used on your skin and hair, the oil has a dark colour that will transfer to fabrics, which may be washed out. When incorporated into a variety of dishes, it adds vibrant, earthy flavour. Beneficial for hair, skin, digestion and more, as a daily supplement. This pure sea salt is produced by the evaporation of seawater. Salinga contains the essential, natural minerals and trace elements, in the correct balance, for your body to absorb and utilise for optimal functioning, vitality and health. 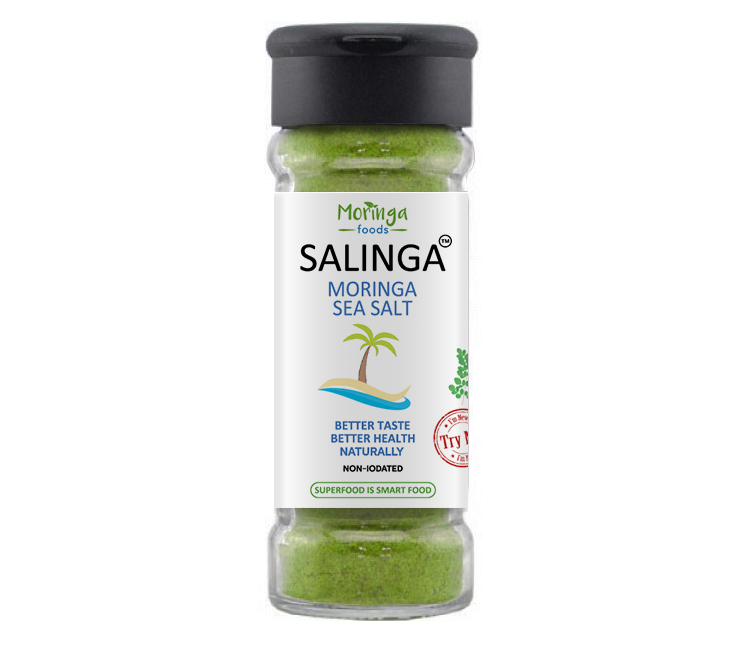 This seasoning formulation containing Moringa is 100% natural and contains no preservatives. Containing over 95 nutrients, 46 antioxidants as well as anti-inflammatory compounds, Moringa (Moringa oleifera) is one of nature’s most nutritious foods ideal for helping our bodies maintain optimum health. Our pure Non-Iodated sea salt is produced by the evaporation of seawater. This salt contains the essential,natural minerals and trace elements, in the correct balance,for your body to absorb and utilise for optimal functioning, vitality and health. 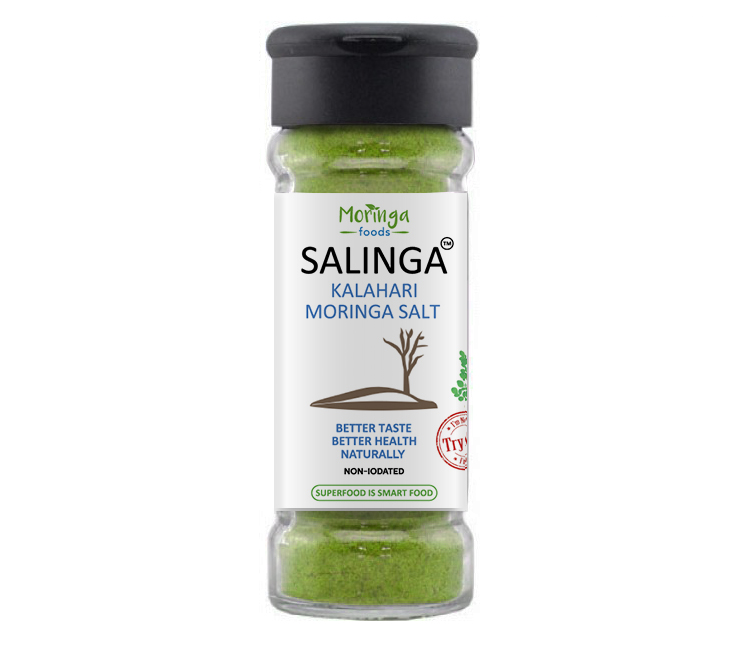 Moringa Kalahari Salt Sourced from the pristine salt pans of the Kalahari Desert which we share with you as a combination of pure, non-iodated Salt and pure Moringa. Salinga kalahari salt is 100% natural, unrefined, sun-dried salt, is NON-GMO, and is free from additives and preservatives. Originating from the ancient seabeds in the Himalayan mountains. The pink color comes from their rich iron content and is rich in minerals, containing all 84 essential trace elements required by your body. This Non-iodated Salinga can assist in many bodily functions, such as reducing muscle cramps, promoting blood sugar health and promoting healthy pH in your cells. Herbal Warrior is carefully formulated to ensure that your pet receives the highest quality of care and treatment, while protecting you and the environment from harmful chemicals. As this non-medical product is toxin free it is necessary to use daily and to follow the instructions below for effective results. Follow official or medical advice in red flagged areas and areas related to malaria. 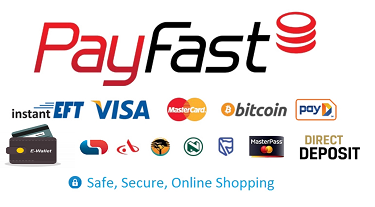 Available in South Africa only. Please use our contact form for enquiries. Congrats on your SA launch! Capone has been flea and tick free for 4 years because of Herbal Warrior Flea Tick and Mosquito Spray. It also helps during this water shortage in the Cape as a substitute bath for him. It is such a great natural smelling product, that we use it indoors. It works as a air freshener too. I am pleased that I bought this for my dog. He hasn’t really had fleas before, but for some reason this year he has. I’ve never trusted or use the chemicals being sold – all for good reasons. But, I had to use something to get rid of these pests and DIY methods weren’t working. Yay Herbal Warrior flea tick and mosquito repellent! Smells great and safe for us all. We live near a mountain on the Outeniqua Pass and so we have lots of little “friends” that like to hitch a ride on our dog Snoopy. This effective and eco friendly safe spray keeps away the ticks and fleas. My family and I also use it on ourselves, before taking Snoopy for a walk on the trails. It is also useful as a sanitiser on yoga mats and furniture. Herbal Warrior Natural multi-purpose Spritzer is carefully formulated to ensure that you receive the highest quality of care and treatment, while protecting you, your family and the environment from harmful chemicals. This non-medical product is toxin free and does not contain any photosensitive contents and is very effective for cooling and hydrating the skin, while repelling insects and slightly reducing UV absorption. A rich blend of antioxidants, vitamins and oleic acid which assists with dry and itchy beards as well as maintaining moisture. Can be used for cuts, bruises, minor burns, rashes and scrapes. A complete formulation, for the wild caveman to the sophisticated gentleman. Natural antiseptic that conditions the skin to stop itchiness, flaky skin, and irritation. Absorbs deep into your beard hairs, making them softer and stronger without any greasy residues. Over and above our retail sales, we also supply wholesale quantities to businesses for resale. 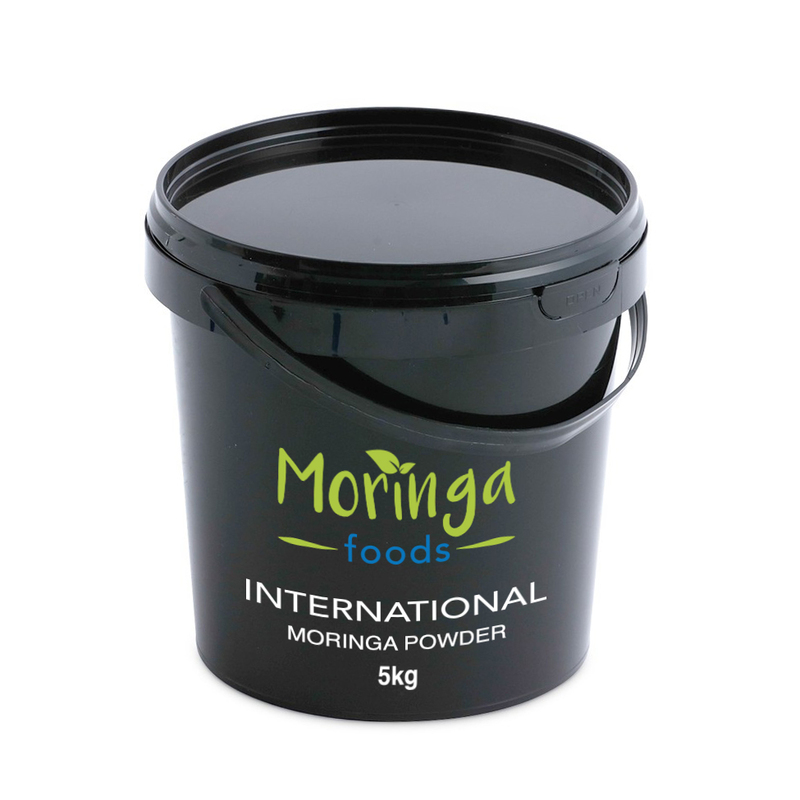 We package 1kg catering containers to multi-tonnes of, independently tested, pure Moringa Leaf Powder. This is packaged and transported, to strict international standards. If your business requires Private Labelling, we can assist you with your label designs and packaging. 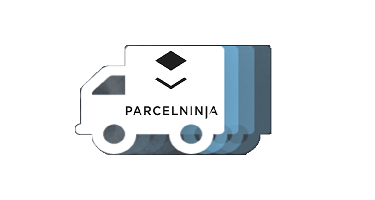 Use our contact link directly to our CEO for immediate service. 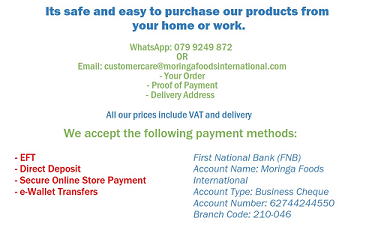 At Moringa Foods International, we strive to be at the forefront of sustainability and development in all aspects of our business. 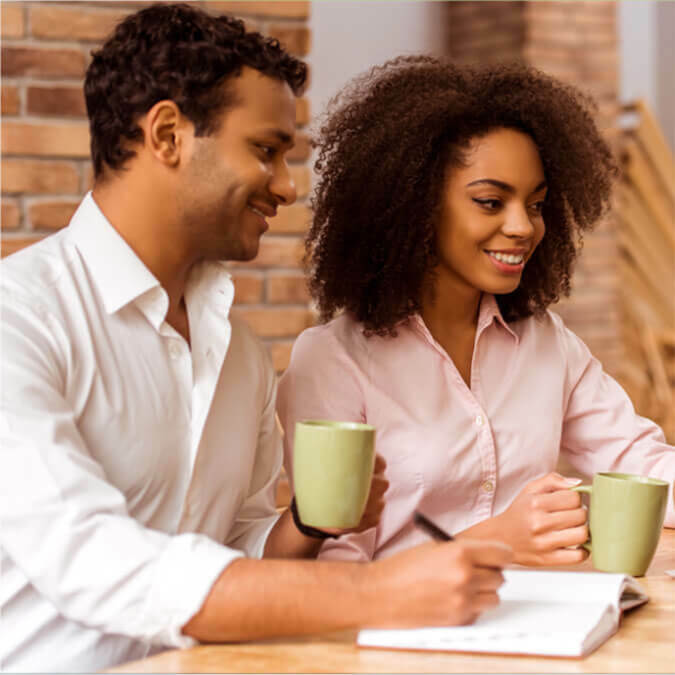 Through this ethos, we have decided to plough back into the community with a tailor made business model you can use to either generously increase your monthly income, or to make a complete thriving business out of it. Complete flexibility to suite your lifestyle. Get in touch now to join our ever expanding network!